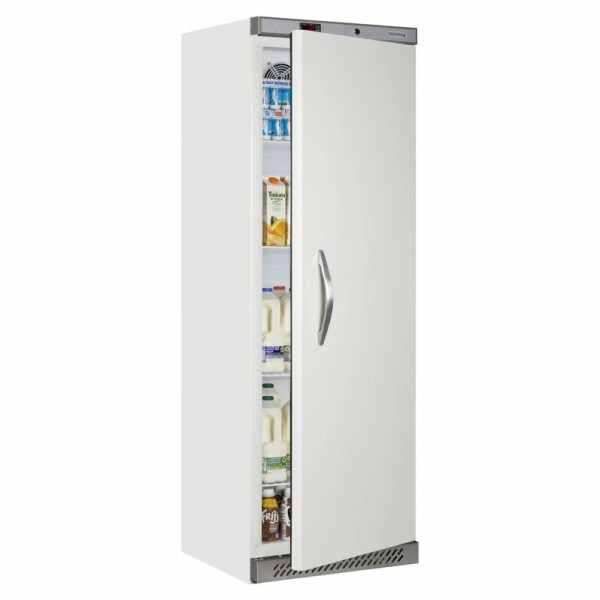 The Tefcold UR400 single solid door refrigerator has fan assisted cooling, auto defrost, 4 adjustable shelves and door lock fitted as standard. Ideal for light to medium duty use. An equivalent freezer version is also available.